On Thursday, June 9th, the Prudential Center in Boston hosted one of their Back Bay Night Out events. It's an evening of fashion, yummy food, and refreshments. The Prudential Center Marketing Team was so kind as to extend an invite to me and a few other Boston bloggers: Elissa (style-wire.com), Emily (stylecubby.com), Jess (whatjesswore.com), Meredith (thoughtfulwish.com), and Thu (justtututiny). 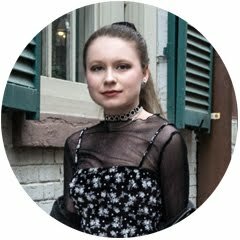 Be sure to check out their amazing blogs! We were each given a goodie bag with gifts from Aritzia, Sam Edelman, and Sugarfina, and spent the night visiting their stores to learn more about the history of each brand. I had such a fun time getting to know the shops and my fellow Boston bloggers. 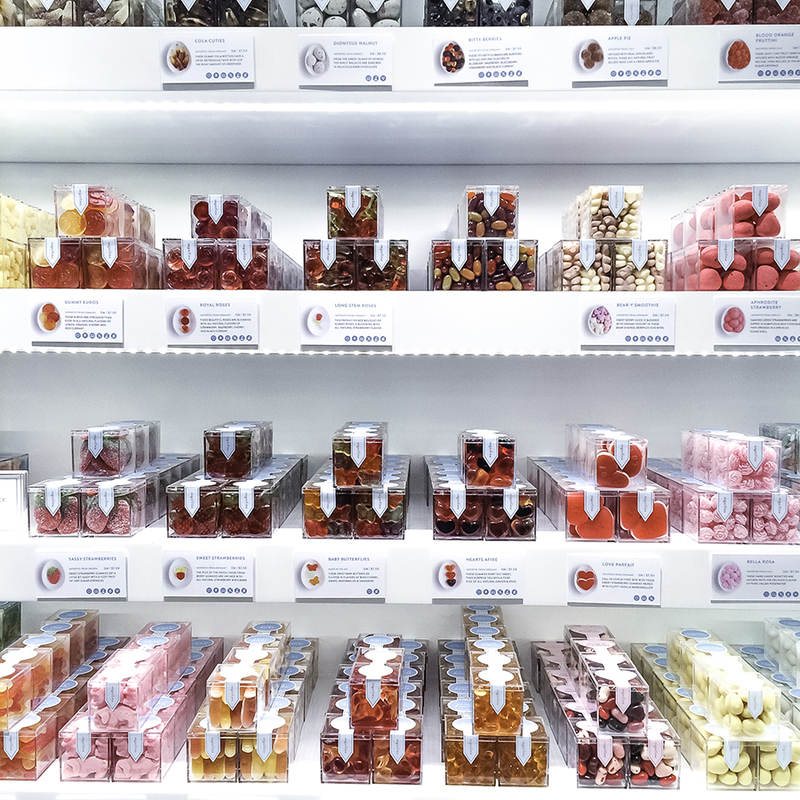 The first store we visited was Sugarfina, a luxury candy boutique. Besides New York, the Prudential Center location is the only full-size boutique on the East Coast. We did a candy tasting and there was not one treat I tried that I didn't like. Everything was so good. My personal favorite I sampled were their coveted Champagne Bears. 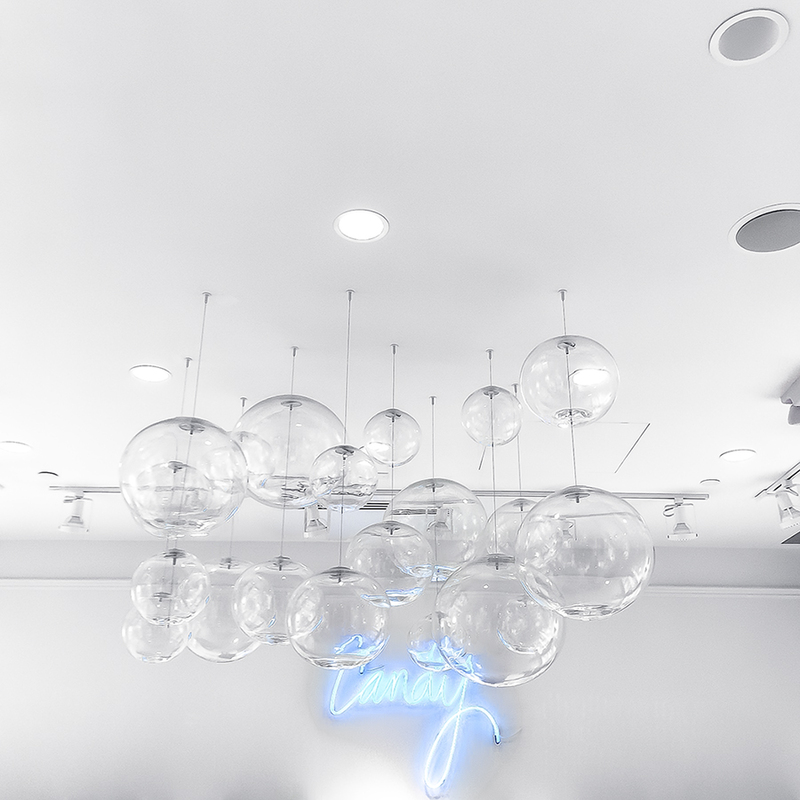 The boutique was beautiful with aqua blue and white accents, bright lighting, and lots of modern, artistic details. It was a grown-up Candy Land! I love how the candy is sold in crystal clear boxes. It makes the packaging nothing like your typical candy wrapper. The experience was very special and I will definitely go back again. The next store we went to was Sam Edelman. I've been a lover of their shoes for years. I swear by the Gigi Sandal and Petty Ankle Bootie. They're comfortable, chic classics that go with anything. I had passed by the new Sam Edelman store at the Prudential Center when it first opened a few months ago, but never ventured inside. Until I saw the Boston store, I was unaware Sam Edelman even had their own shops. I'd only seen their products sold in department stores. I also learned Sam Edelman is an actual person, and he and his wife, Libby, run the company, traveling the world for design inspiration. Does Sam & Libby sound nostalgic and familiar? The shoe brand, now sold at Target, is their creation! How cool is that?! 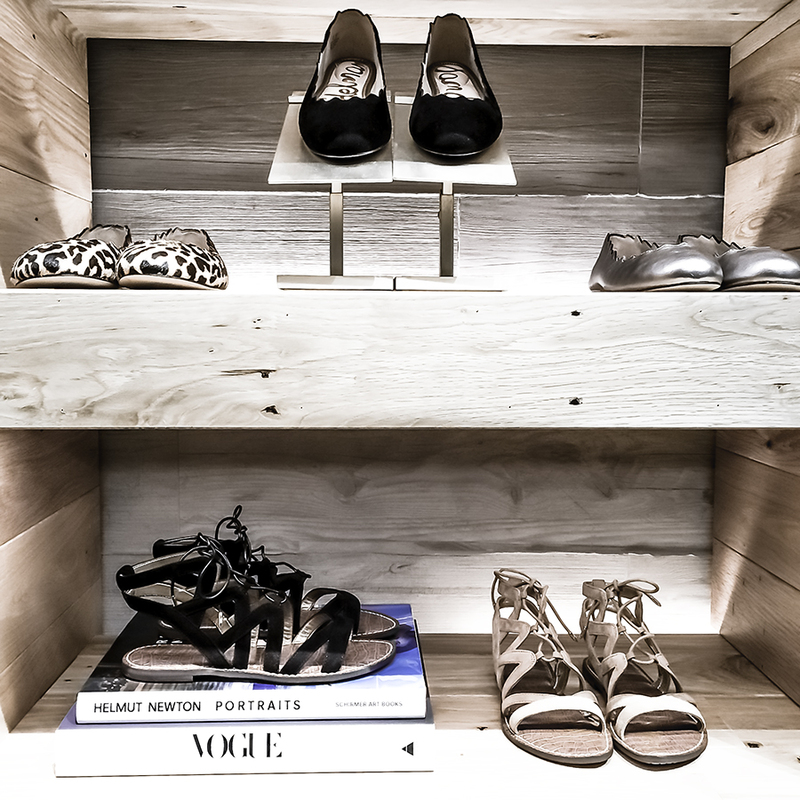 The Sam Edelman store had a boho, tropical vibe to it with hardwood floors and lots of greenery, which I loved. I will have to go back and get my shoe fix ASAP. They were all fabulous. 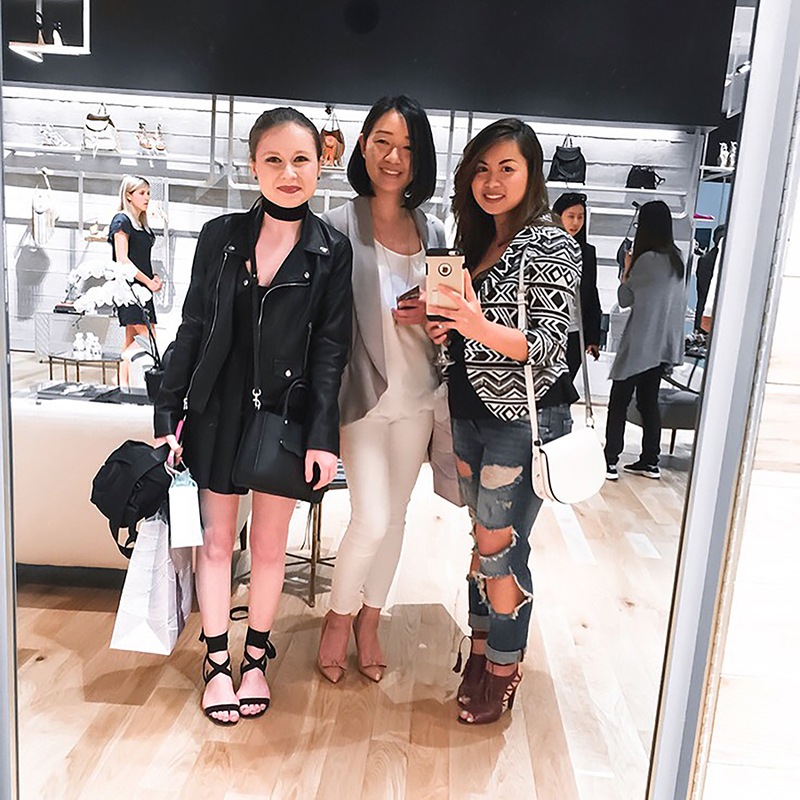 Sam Edelman selfie with Jess (@whatjesswore) and selfie-taker Thu (@justtututiny). 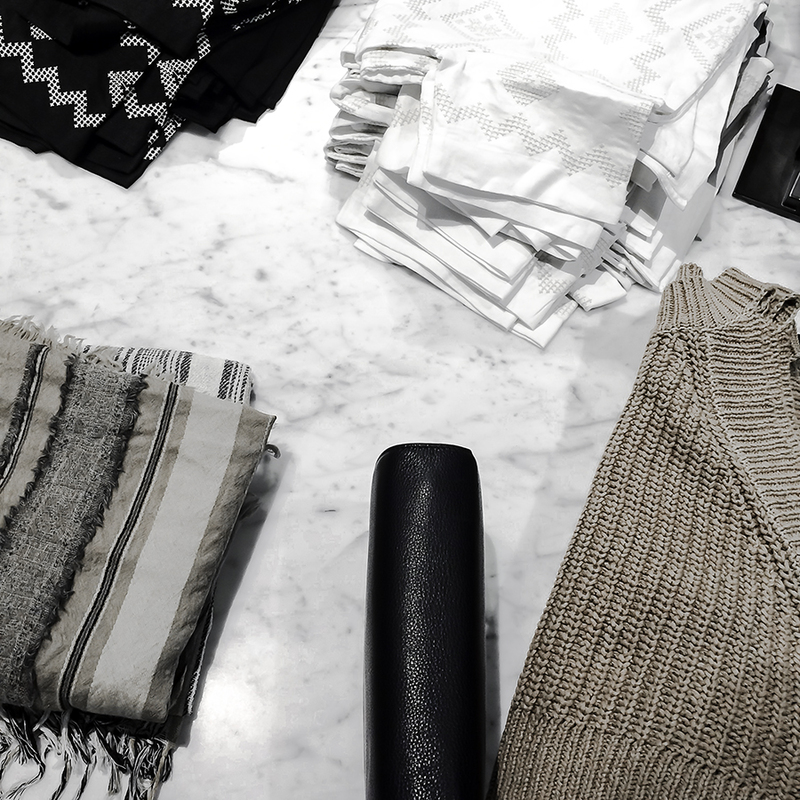 Our final stop was Aritzia. I attended the grand opening back in March, which was exciting, but very crowded. I didn't have a chance to really look around. It was nice being able to browse and also learn a lot about the brand. It's a Canadian company and the closest store to the Boston location is New York City. While the name has no meaning, the brand stands for big things. 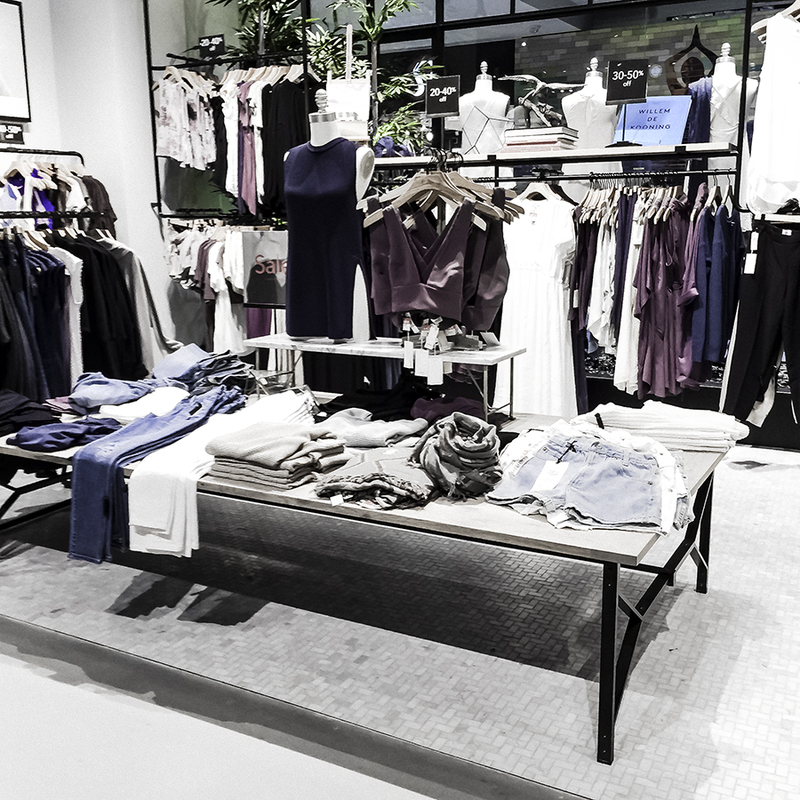 The free-spirited Aritzia is all about female empowerment. The founder is a woman and the clothes themselves are inspired by everyday women of all ages. Now that's awesome! I support women wearing what they want to wear and being who they are always. I can't wait to go back to "the oasis" as I like to call it. The store is just too pretty! It's like taking a calming, shopping vacation. Plus, the music they play is super chill. As for my outfit of the night, I wore an all black look (as usual). I used the gorgeous backdrop of the waterfall in the lobby of the 111 Huntington Avenue skyscraper to take pictures. I love how monochromatic it turned out. A big thank you again to the Prudential Center Marketing Team for having me. Thank you to the representatives from Sugarfina, Sam Edelman, and Aritzia for taking the time to share the stories of your brands. It was a wonderful night.